Photo of a turtle below the water. 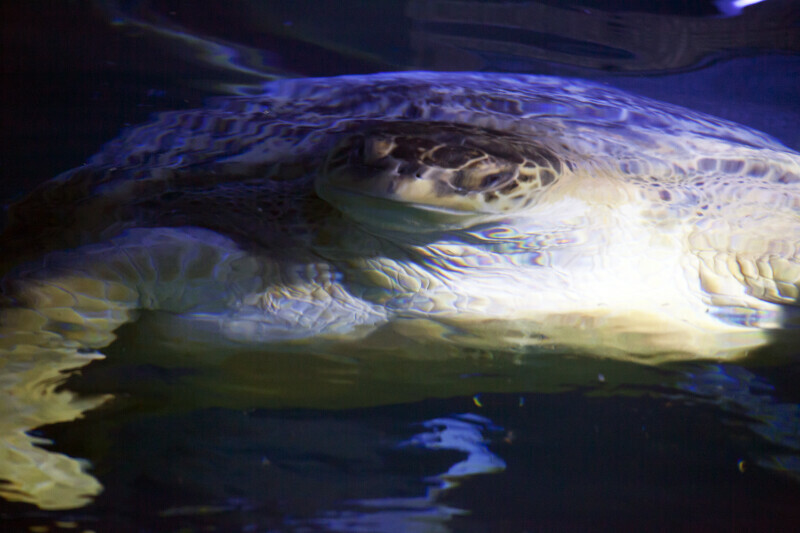 The turtle looks so big in the picture due to refraction. The light waves traveled from the water, then through the air, then through the lens, all of which have different refractive indices.